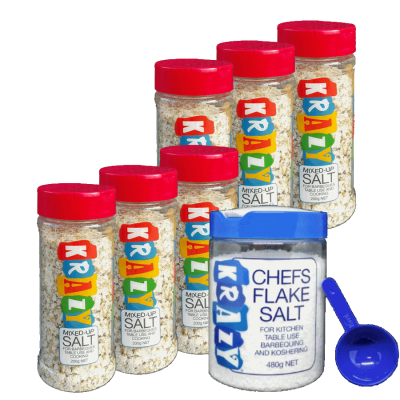 KRAZY® has been part of the Arthur Brunt Quality Grocer family for more than half a century. Whilst Arthur Brunt has been bringing quality products to market for nearly 100 years, it was his son Geoffrey who brought the world. Every year since 1958 has seen Geoffrey on a global pilgrimage of discovery, of flavours, of FOOD! In the psychedelic era came this KRAZY discovery. 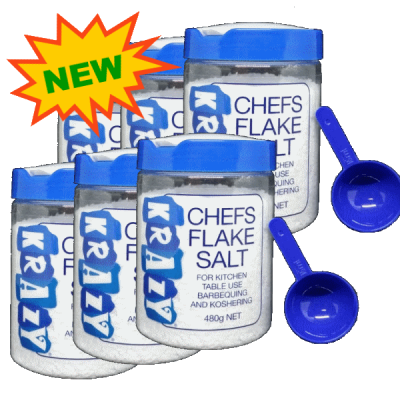 A blend of hard salt flakes, from the Americas; salt with CRUNCH. Spices from the orient, herbs from the Mediterranean. 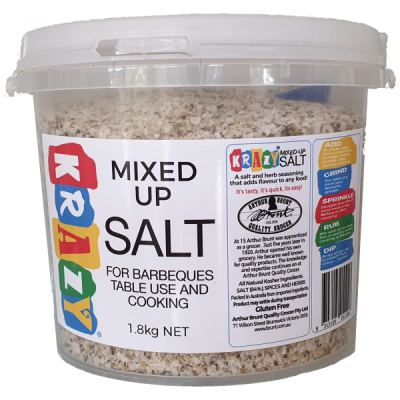 KRAZY Mixed-Up Salt was born. 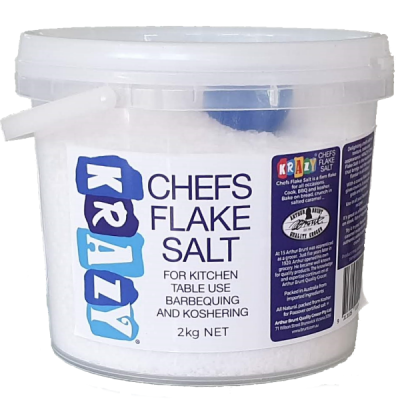 To this day he continues to roam the world sourcing herbs and spices, ensuring every new batch of KRAZY has the biggest and best flavour it can.